Protiviti partners with the Association of Certified Anti-Money Laundering Specialists in order to offer our professionals best-in-class training, resources, and networking opportunities in the area of Anti-Money Laundering and Counter-Terrorist Financing. In addition to being an Enterprise Member of this professional organization, Protiviti has also been proud to sponsor their annual Anti-Money Laundering and Financial Crimes Conference and to formally certify our professionals with the CAMS designation. Amazon Web Services (AWS) offers a broad range of products and solutions used as building blocks to run sophisticated and scalable applications. AWS delivers global cloud based solutions that enable enterprises to become more robust, reduce IT costs, operate securely, increase efficiency, performance and scalability. AWS Partner Network (APN) is the global partner program focused on assisting the APN Partners to build successful AWS solutions by providing them with business, technical, marketing, and go-to-market support. Protiviti is a Platinum Service Member of The American Bankers Association (ABA) which is the united voice of America’s hometown bankers—small, regional and large banks that together employ more than 2 million people, hold more than $16 trillion in assets, safeguard $12 trillion in deposits and extend more than $8 trillion in loans. Since 2004, Protiviti and CA Technologies (CA) have collaborated to provide IT Architecture and IT Process design and implementation services to their mutual clients. Protiviti’s consulting approach and methodology coupled with CA’s software technology provides clients with a best-of-breed solution implementation. Protiviti and CA have successfully delivered enterprise architecture services, infrastructure management & monitoring, application optimization, IT asset management, IT service & change management, and IT security risk management to the marketplace. Our relationship with CA has helped our customers maximize IT value to the business while simultaneously reducing risk. Celonis is the world market leader in process mining technology with offices in Europe and North America. Celonis specializes in intelligent big-data analytics software that provides full, unbiased visibility into all IT-supported business processes. With Celonis, enterprises are able to uncover hidden operational improvement opportunities and receive prescriptive recommendations on how to measurably optimize business performance. Celonis Process Mining acts as an MRI for business processes, providing the capability to analyze and visualize every process in an organization in real-time. By leveraging the digital footprints left behind by every IT system, the solution provides complete transparency into how processes are actually functioning, revealing weaknesses and ensuring faster, more transparent, and more cost-effective processes. Protiviti’s partnership with Celonis provides our clients with the ability to uncover the root causes of inefficient business processes. This is accomplished by reconstructing and visualizing the company’s existing business, processes enabling clients to eliminate bottlenecks, reduce costs and drive process efficiency through automation and optimization of those processes. Protiviti provides consulting services for all aspects of implementing the Celonis solution. Our Data & Analytics and Business Process Improvement teams can assist with design, configuration and customization of the solution, analysis, and value realization, all specific to our client’s requirements. Protiviti’s Transaction Services Practice is a proud partner of Cortland Advisors, an international Mergers & Acquisitions advisory firm that specializes in small- to mid-market transactions. Cortland has practice groups in Government Services Contracting, IT & Software Services, Telecomm and Engineering Services, representing both buy- and sell-side clients in the United States, Asia and Europe. FastPath is an auditing software company that has created integrations for the most widely used ERP systems including Microsoft Dynamics, NetSuite and Oracle EBS. Their goal is to help organizations achieve compliance in an efficient and effective manner by providing real audit solutions created by auditors for auditors. For more information, please contact: Kevin McCreary at [email protected] or +1 404-926-4322. FEI’s mission is to advance the success of senior-level financial executives, their organizations and the profession. As the premier professional organization for senior corporate financial executives, FEI serves more than 11,500 members globally. Robert Half and Protiviti are proud to be a Strategic Partner of the FEI in which we collaborate with the FEI to produce thought leadership and are involved in engagement opportunities through several FEI platforms and channels. We are the single organization able to completely integrate consulting and staffing expertise for the FEI. Protiviti is an active participant and contributor to the Financial Services Information Sharing and Analysis Center (FS-ISAC). FS-ISAC is a non-profit, member owned organization that is the only industry forum for collaboration on critical security threats facing the financial services sector. When attacks occur, early warning and expert advice can mean the difference between business continuity and widespread business catastrophe. As a member of FS-ISAC, Protiviti receives timely notification and authoritative information specifically designed to help protect critical systems and assets from physical and cyber security threats. Since 2011, Protiviti has partnered with Hewlett Packard Enterprise (HPE), a division of HP, to build world class Security Operations Centers and deploy HPE security solutions, including ArcSight security information and event management (SIEM) systems. Protiviti and HPE together provide a comprehensive set of solutions to help businesses and government agencies monitor networks and data centers for security threats. The International Association of Privacy Professionals (IAPP) is a resource for professionals who want to develop and advance their careers by helping their organizations successfully manage these risks and protect their data. They are the world’s largest and most comprehensive global information privacy community. Protiviti hold a US national membership with IAPP. Protiviti is a member of the Institute of International Bankers (IIB), the only national association devoted exclusively to representing and advancing the interests of internationally headquartered banking/financial institutions operating in the United States. 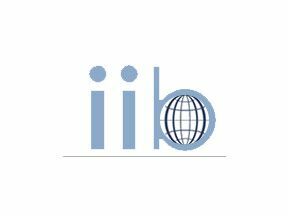 Representing 100 member banks from many different countries, the IIB is a strong advocate for the international banking community on critical issues such as Dodd-Frank implementation, FATCA, Iran sanctions, Basel III, BSA/AML compliance and many more. Protiviti is a founding member of the International RegTech Association, a united community of individuals and organizations, with a shared vision to innovate, advance, and influence the future of Regulatory Technology (RegTech). Through consultation and collaboration, the IRTA plays a central role in shaping the future of the Financial Services industry. A non-profit Association, the IRTA brings together the people, tools and policies that are required to thrive in today's rapidly evolving RegTech landscape. ISACA helps global professionals lead, adapt and assure trust in an evolving digital world by offering innovative and world-class knowledge, standards, networking credentialing and career development. Established in 1969, ISACA is a global nonprofit association of 140,000 professionals in 180 countries. The association has more than 200 chapters worldwide. Protiviti and ISACA partner to conduct the annual IT Audit Benchmarking Survey to determine where IT audit functions stand in their capabilities to address these key challenges. MaritzCX is one of the largest Customer Experience (CX) solution providers in the market, offering a unique combination of robust technology, market research and industry expertise through a global CX platform. They help organizations see, sense and act on the experiences and desires of every customer to increase retention, conversion and lifetime value. Protiviti’s alliance with MaritzCX brings unique value to organizations looking to serve their customers and improve company performance. We link innovative services and technology with consulting expertise to align CX insights and implement key process and business performance initiatives. Protiviti is a Corporate member and Sponsor of The Open Web Application Security Project (OWASP). OWASP is a 501c3 not-for-profit worldwide charitable organization focused on improving the security of application software. Our mission is to make application security visible, so that people and organizations can make informed decisions about true application security risks. Everyone is free to participate in OWASP and all of our materials are available under a free and open software license. The PCI Security Standards Council is an open global forum, launched in 2006, that is responsible for the development, management, education, and awareness of the PCI Security Standards, including the Data Security Standard (PCI DSS), Payment Application Data Security Standard (PA-DSS), and PIN Transaction Security (PTS) requirements. Protiviti is a Qualified Security Assessors (QSA) and Approved Scanning Vendor (ASV) programs member. Pritchett LP is our strategic partner in the areas of Human Capital and Organizational Culture. Their team of professionals are leaders in the space and complement our model synergistically. Protiviti’s Data Management and Advanced Analytics practice partners with Profisee to provide next-generation master data management. Profisee is a leading enterprise data management company that makes it easy and affordable for any size organization to ensure a trusted data foundation. Their unique Profisee Advantage™ approach allows companies to leverage enterprise multi-domain data management capability, without limits on users, data volume or sources. Profisee customers can choose their deployment on premise, in the cloud or via a hybrid model. Profisee’s Total Cost Ownership model leads the master data management industry. This provides the industry’s highest customer satisfaction rating by exceeding customer expectations. Protiviti’s Cyber Risk Quantification (CRQ) service, powered by the RiskLens CRQ software, delivers a continual, data-driven assessment of an organization’s current state of cyber risk. Armed with this data, cybersecurity teams can identify key controls determine if they are investing their cybersecurity budgets in the right areas and if they have sufficient cyber insurance; evaluate ROI; and provide reports to key stakeholders in business-focused terms. SAP delivers solutions that enable enterprises to improve business operations and facilitates a company’s effort to manage risk and compliance, while optimizing efficiency, strategy and growth with a single integrated platform. Protiviti is a proud partner of Shared Assessments, a member-driven, industry-standard body that injects speed, efficiency and cost savings into the service provider control assessment process. Shared Assessments Program members work together to eliminate redundancies and create efficiencies, giving all parties a standardized, consistent, faster, more rigorous, more efficient and less costly means of conducting security, privacy and business continuity assessments. Protiviti is one of SIFMA’s 10 Premium Associate Members. Through this enhanced level of participation, we actively engage with SIFMA committees and working groups, share insights and expertise on crucial industry developments, speak at conferences and events, and contribute to SIFMA’s advocacy efforts for effective and resilient capital markets. SIFMA is the leading trade association for broker-dealers, investment banks and asset managers operating in the U.S. and global capital markets. On behalf of the industry’s nearly 1 million employees, they advocate on legislation, regulation and business policy, affecting retail and institutional investors, equity and fixed income markets and related products and services. SIFMA serves as an industry coordinating body to promote fair and orderly markets, informed regulatory compliance, and efficient market operations and resiliency. They also provide a forum for industry policy and professional development. SIFMA, with offices in New York and Washington, D.C., is the U.S. regional member of the Global Financial Markets Association (GFMA). Established in 1941, The Institute of Internal Auditors (IIA) is an international professional association that serves as the internal audit profession's global voice, recognized authority, acknowledged leader, chief advocate, and principal educator. Generally, members work in internal auditing, risk management, governance, internal control, information technology audit, education, and security. Globally, The IIA has more than 180,000 members worldwide. Protiviti is a long standing member of The IIA’s Principal Partner Program, serves on the board of The IIA Research Foundation, and conducted the 2015 CBOK Stakeholder Study in partnership with The IIA Research Foundation.